The Catholic Jedi Academy: Spike's Cat-olic Jedi Protégés: The Jedi Kittens! 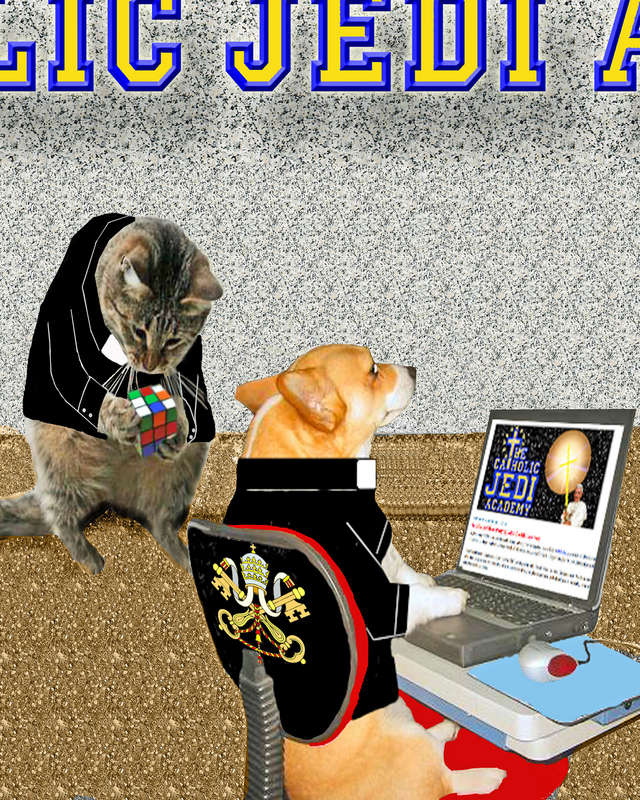 Spike's Cat-olic Jedi Protégés: The Jedi Kittens! Spike The Cat (our Mensa level Cat-olic apologist) and Anathema The Dog (the Academy's posting proofreader for Dog-matic fidelity). Spike recently received an email from some of his relatives in California, proudly announcing that their kittens tell them that they want to grow up and be just like Spike. So, the kittens have begun training as youngling Cat-olic Jedis! The kittens' efforts were captured and presented by their housing, food and litter benefactor, the talented Zach King, who produces the amazing Final Cut King website and several cool and entertaining videos appearing on YouTube. Spike asked the Faculty if he could share the kittens' exploits with you, our dear Academicians. Of course, we said, "Yes!" "I sense a disturbance in the 'furs'... ."
Fortnight For Freedom - Are You Ready? The Catechism Is Now Online!